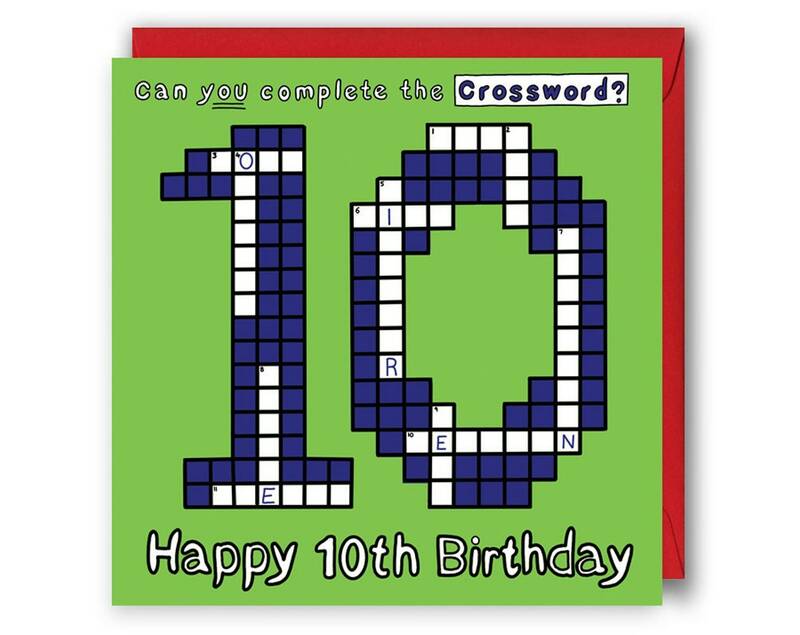 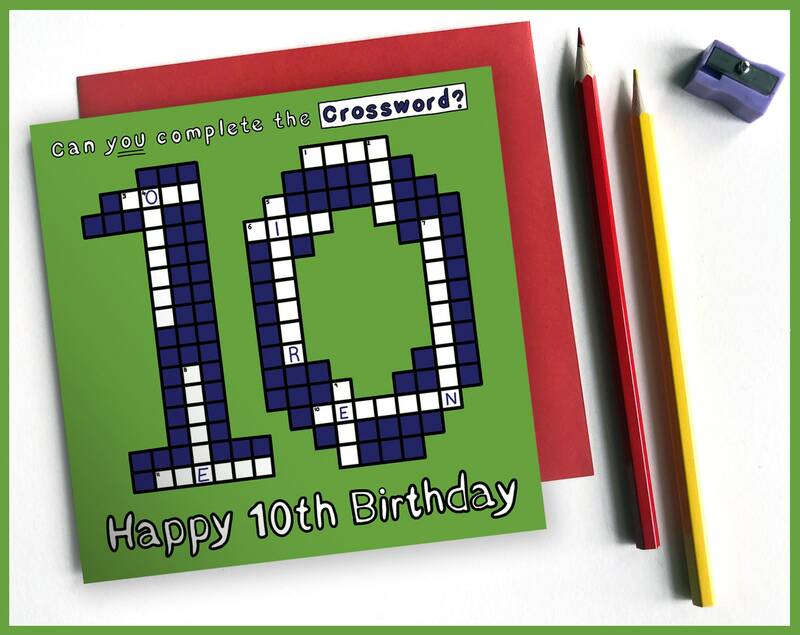 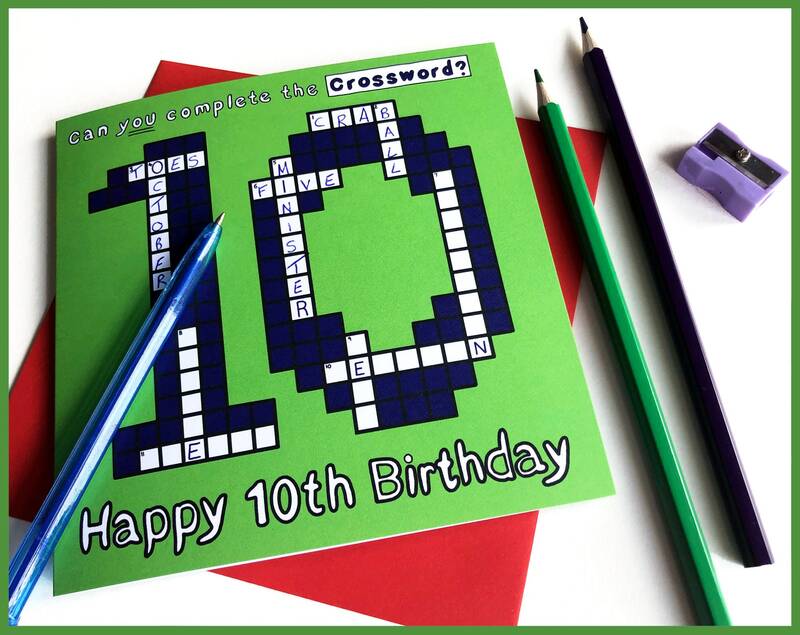 Say 'Happy 10th Birthday' with this crossword birthday card! 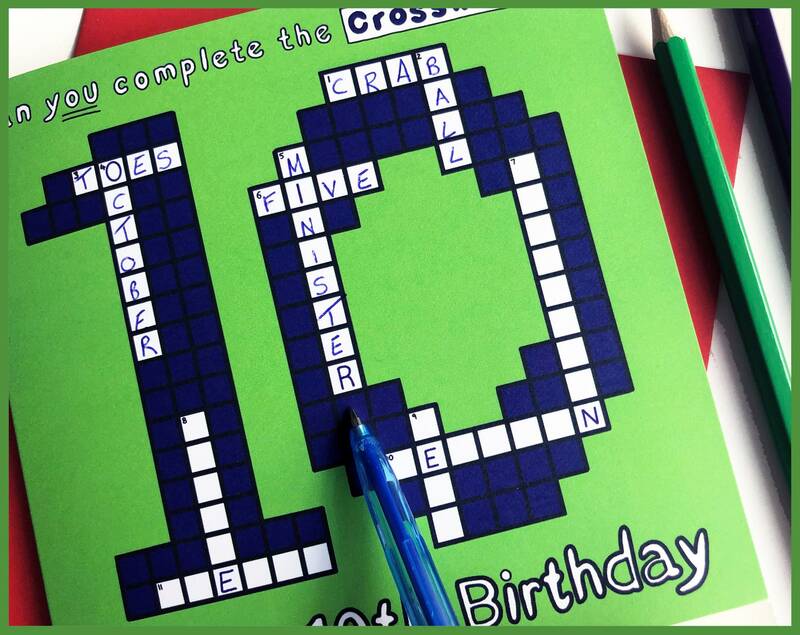 10 clues are listed on the back of the card, all themed around the number 10. 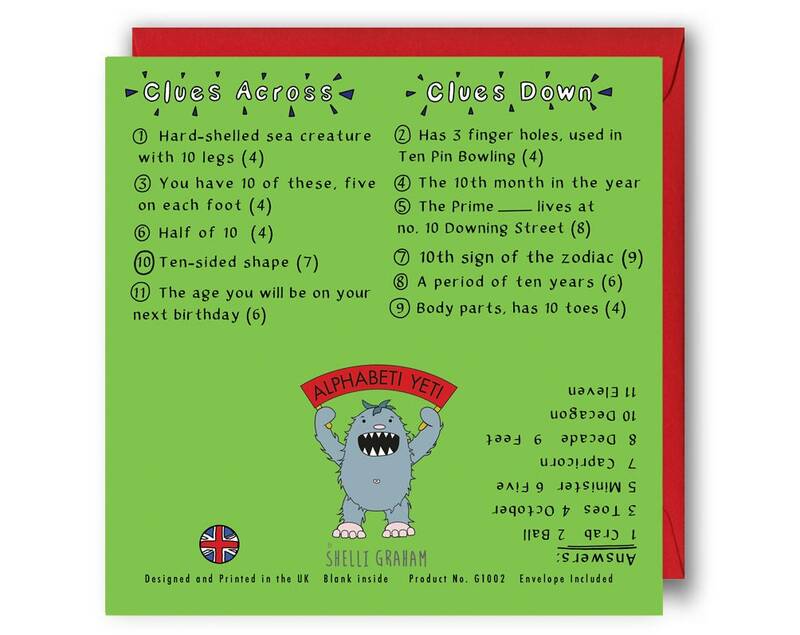 Don't worry, if you get stuck the answers are also on the back! 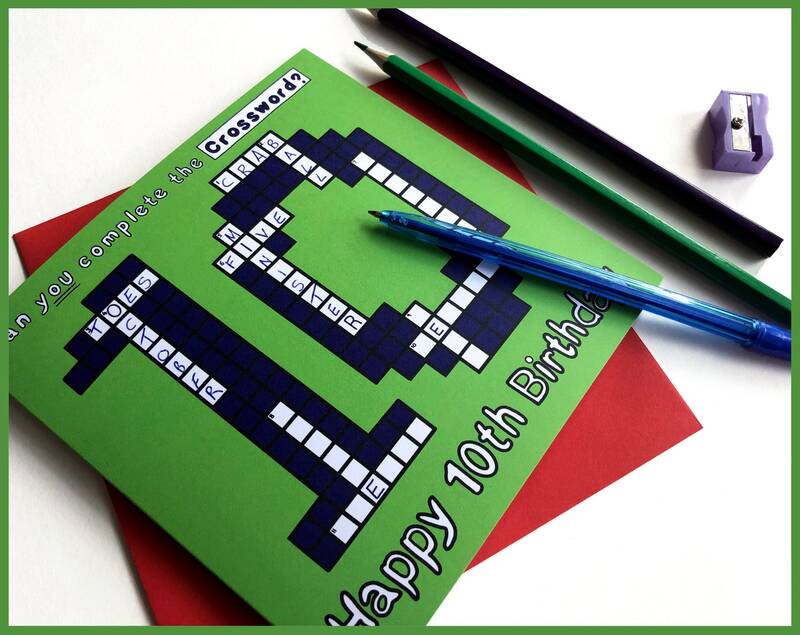 This eye-catching "happy birthday" card is perfect for both a boys and a girls celebrating their 10th birthday.